King Kong, starring Fay Wray, is one of the classic movies TCM will feature during week one the 2016 Summer Under the Stars film festival. Each August, TCM presents Summer Under the Stars, a month-long film festival that celebrates the talents of some of old Hollywood's most beloved actors with 24 hours of their best movies. This year's Summer Under the Stars starts on Monday with tough-guy Edward G. Robinson followed by comedienne Lucille Ball on Tuesday; crooner Bing Crosby on Wednesday; scream queen Fay Wray on Thursday; character actor Karl Malden on Friday; method actor Montgomery Clift on Saturday, and blonde bombshell Jean Harlow on Sunday. Born: Dec. 12, 1893, in Bucharest, Romania. Died: Jan. 26. 1973, in Hollywood. Robinson is buried in Beth El Cemetery in Ridgewood, N.Y.
Bio: Robinson, who was born Emanuel Goldenberg, emigrated to the US with his family after they experienced antisemitic persecution in his native country. Robinson started out in Yiddish theater, but he soon moved to Broadway. 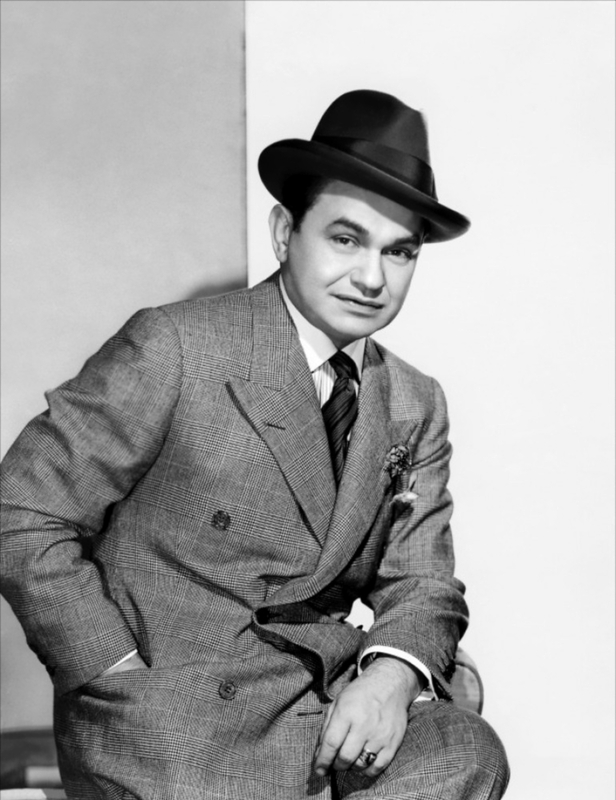 Hollywood came calling with the arrival of talkies, and Robinson became an instant star with his explosive performance as an Al Capone-like gangster in Little Caesar (1930) airing at 7:30 a.m. Robinson was one of Warner's top stars of the 1930's in films like Five Star Final (1931) at 9 a.m. and Kid Galahad (1937) at 10:30 a.m., and he moved into character parts in the 1940's in films noir like Double Indemnity (1944) at 4 p.m. where he plays a suspicious insurance adjuster, Scarlet Street (1945) at 8 p.m. where he plays a meek artist who is caught in the wiles of femme fatale Joan Bennett, and The Stranger (1946) at 2 a.m. where he plays a Nazi war crimes investigator. Robinson was briefly blacklisted in the 1950's, but he made a comeback in films like The Cincinnati Kid (1965) at 4 a.m. where he plays a legendary poker player. Born: Aug. 6, 1911, in Jamestown, N.Y.
Died: April 26, 1989, in Beverly Hills, Calif. Buried in Forest Lawn Memorial Park in Los Angeles. Bio: One of the most successful business moguls in old Hollywood history, Ball left her home in upstate New York to become a fashion model and showgirl. She eventually landed at RKO Pictures, where she was cast in a series of supporting parts and in B movies like Next Time I Marry (1938) at 7:15 a.m. and The Affairs of Annabel (1938) at 8:30 a.m. Ball eventually moved up the ranks at RKO -- Orson Welles even considered casting her in Citizen Kane (1941) -- and she got juicy parts in movies like the disaster flick Five Came Back (1939) at 11:30 a.m. and The Big Street (1942) at 1 p.m. where she plays a bitter disabled woman who torments co-star Henry Fonda. Ball then landed at MGM where she made glossy Technicolor musicals like Best Foot Forward (1943) at 1:45 a.m. and the sensational noir The Dark Corner (1946) at 8 p.m. After the success of the fifties TV series I Love Lucy, Ball made two films with her co-star and husband Desi Arnaz Forever Darling (1956) at 4:15 p.m. and The Long, Long Trailer (1954) at midnight. Born: May 3, 1903, in Tacoma, Wash.
Died: Oct. 14, 1977, in Madrid, Spain (he was playing golf when he had a heart attack). Buried in Holy Cross Cemetery in Culver City, Calif.
Bio: Crosby, who was born Harry Lillis Crosby, grew up in Spokane, Wash. as one of seven children of a bookkeeper and his wife (the young Crosby's fondness for a parody newspaper called the Bingville Bugle led to his childhood nickname). Crosby's success as a recording artist and radio star led to movie roles in films like Pennies From Heaven (1936) at 7:30 a.m. where he introduced the popular hit song and Sing, You Sinners (1938) at 2 a.m. where he introduced "I've Got a Pocketful of Dreams." 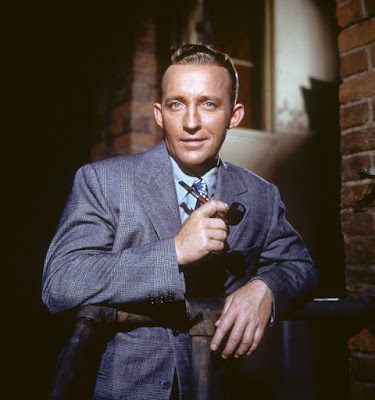 Crosby eventually became one of Paramount Pictures top stars, especially in his musicals with Fred Astaire like Blue Skies (1946) at 4:30 p.m. and the Road movies with Bob Hope and Dorothy Lamour like Road to Morocco (1942) at 12:15 a.m. Crosby's profile was raised considerably when he won an Academy Award for playing an avuncular priest who revitalizes an inner-city parish in Going My Way (1944) at 8 p.m. Thereafter he became a sought after leading man, especially opposite Grace Kelly in movies like The Country Girl (1954) at 10:15 p.m. and High Society (1956) at 12:30 p.m.
Born: Sept. 15, 1907, in Cardston, Alberta, Canada. Died: Aug. 8, 2004, in New York City. Buried in the Hollywood Forever Cemetery. 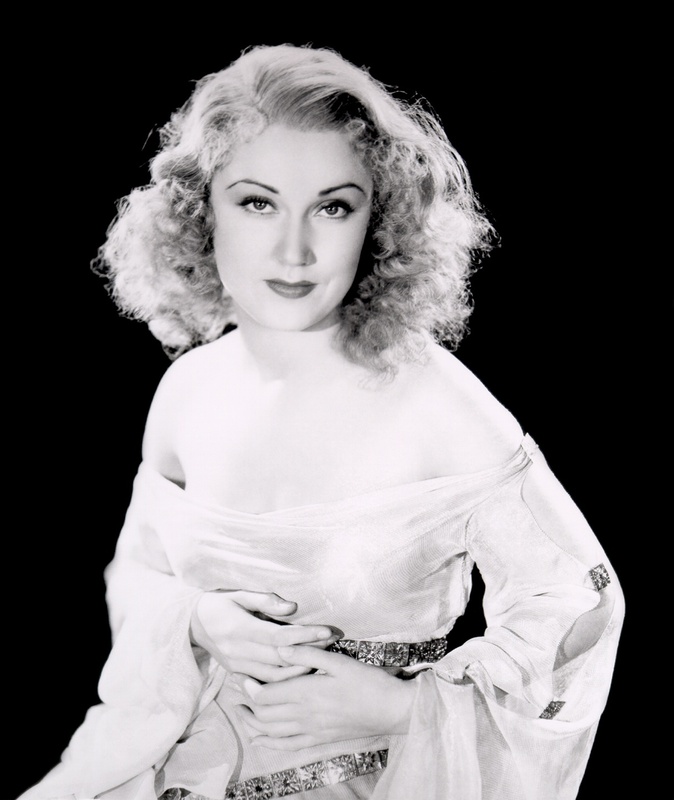 Bio: One of cinema's original scream queens, Wray, who was born Vina Fay Wray, grew up on ranches in Utah before heading to Hollywood as a teenager to make her mark in movies. After being named one of the most promising newcomers by a movie advertising agency, Wray got the female lead in director Erich von Stroheim's silent extravaganza The Wedding March (1928) at 8 p.m. That film was a commercial failure, and Wray eventually found herself at RKO Pictures where she became a top-star in horror films like Doctor X (1932) at 10:15 a.m., The Most Dangerous Game (1932) at 3:15 a.m., and, of course, King Kong (1933) at 10 p.m. However, the horror craze quickly died out and, although she continued to make movies in the 1930's and 1940's like the screwball comedy The Richest Girl in the World (1934) at 11:45 a.m., she never achieved quite the same success as she did in pre-code Hollywood. 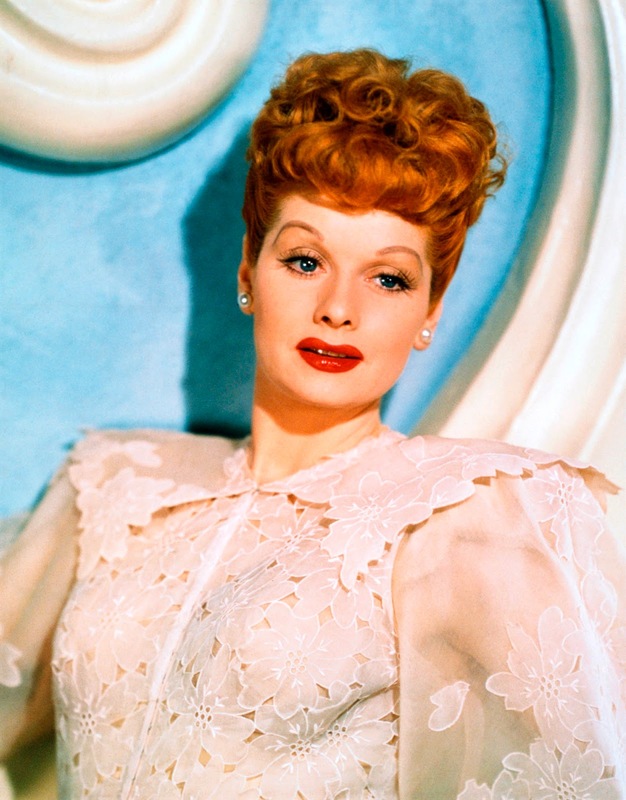 Born: March 22, 1912, in Chicago. Died: July 1, 2009, in Los Angeles. Buried in Westwood Memorial Park in Los Angeles. 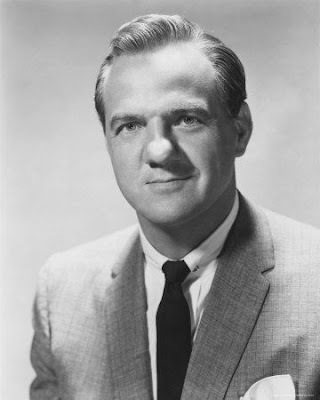 Bio: Malden, who was born Mladen Sekulovich to a Serbian immigrant father and a Czech immigrant mother, was a little known character actor until he won an Academy Award for playing Blanche DuBois' meek beau in A Streetcar Named Desire (1951) at 10 p.m. That led to a booming career in the fifties and sixties as one of old Hollywood's most sought after supporting players. He had another landmark role as an idealistic priest in On the Waterfront (1954) at 8 p.m. and he was excellent as a kindly officer in the Korean War drama Take the High Ground (1953) at 11:45 a.m. One of Malden's more unusual roles was as Carroll Baker's clueless husband in the overheated Southern melodrama Baby Doll (1956) at 2:15 a.m.
Born: Oct. 17, 1920, in Omaha, Neb. Died: July 23, 1966, in New York City. Buried in the Friends Quaker Cemetery in Brooklyn. 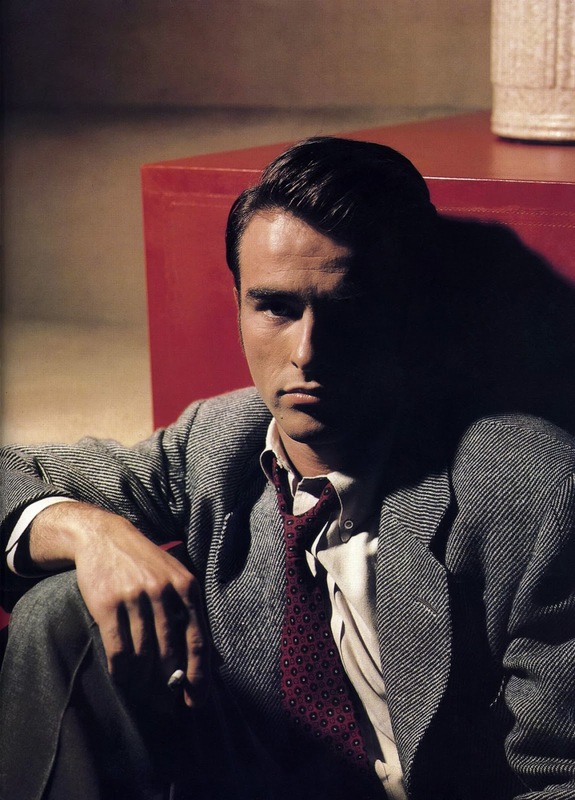 Bio: Clift, who was born Edward Montgomery Clift, grew up in Omaha and New York City as the son of a banker and a domineering mother with aristocratic pretensions. While Clift's other siblings went to Ivy League schools, he drifted into acting, eventually carving out a successful Broadway career in plays by Thornton Wilder, Tennessee Williams, and Lillian Hellman. Clift made his Hollywood debut in the Western Red River (1948) at 8 p.m., and his boyish good looks and method acting style made him a sought-after leading man in fifties blockbusters like A Place in the Sun (1951) at 10:30 p.m. and From Here to Eternity (1953) at 12:45 a.m. Clift suffered a devastating car accident while making the Civil War drama Raintree County (1957) at 3 a.m. that affected both his appearance and his health, although he continued to make interesting movies like the Tennessee Williams adaptation Suddenly, Last Summer (1960) at 11:45 a.m. and director John Huston's drama The Misfits (1961) at 1:45 p.m. until his untimely death at age 45 from a heart attack. 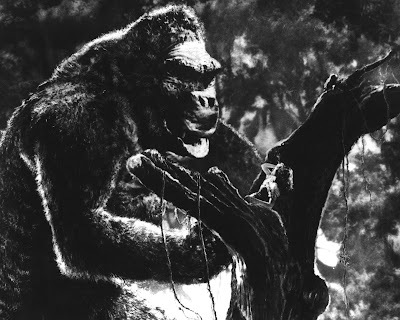 Born: March 3, 1911, in Kansas City, Mo. Died: June 7, 1937, in Los Angeles. Buried in Forest Lawn Memorial Park in Glendale, Calif.
Bio: Harlow, who was born Harlean Harlow Carpenter to a dentist and his stagestruck wife, married Charles McGrew, the heir to a large fortune while she was still a teenager. 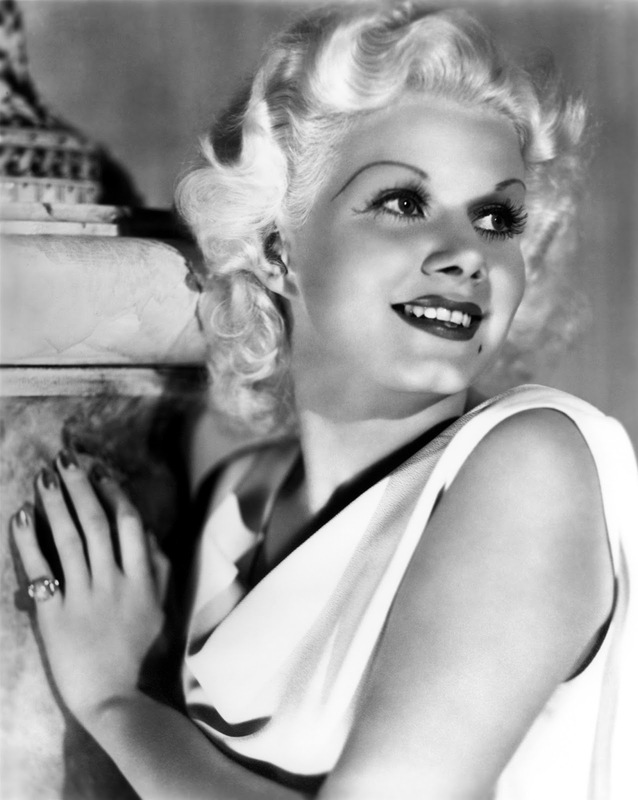 The couple moved to Beverly Hills, where Harlow led a pampered life as a socialite until Central Casting offered her an audition as an actress. She mostly played bit parts until she dyed her hair platinum blonde for a role, which gained her attention-getting parts in movies like the gangster melodrama The Beast of the City (1932) at 10 a.m. Harlow caught the eye of powerful MGM producer Irving Thalberg, who put her under contract and cast her in a series of wildly successful films opposite Clark Gable like China Seas (1935) at 1:15 p.m., Red Dust (1932) at 8 p.m., and Wife vs. Secretary (1936) at 11:15 p.m. Harlow also showed a flair for comedy, especially in the delightful screwball comedy Libeled Lady (1936) at 6 p.m. Harlow, who had a history of health problems, became seriously ill during the filming of her last movie Saratoga (1937) at 8 a.m. and died of complications from kidney failure at age 26. Check back Monday for my review of Scarlet Street. Plus, I'll be posting photos, videos, and GIFs of each star every day on social media. You can follow me on Tumblr, Google+ or Pinterest or like Old Hollywood Film's page on Facebook. Follow me on Twitter @oldhollywood21.